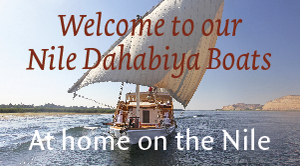 Why travel with Djed Egypt? Djed Egypt Travel is a well-established independent Egypt tour operator with 10 years’ experience. We have the know-how and flexibility to compose, arrange and operate a range of tours to every travel destination in Egypt, in any combination you like. Our Egypt tours range from luxurious to adventurous, usually combining both. We can tailor-made your trip to suit your interests, preferred style of accommodation, travel plans and budget. We are experts in planning tailor-made tours – it’s what we do all day– it’s as simple as that. We make sure you enjoy every moment until your safe return home from our beautiful Egypt. Happy Travels! With all the information available online, you can spent hours searching for your perfect Egypt holiday. If you have questions or want to ask a quote for you travel plan, we do all the work for you. Our specialized experience and local knowledge will change a typical Egypt holiday into a real memorable trip. Everyone at Djed Egypt Travel is passionate about Egypt, and has lived and travelled extensively throughout their region. Our team makes sure your trip runs smoothly. They welcome you in Egypt. From start to finish, they help you wherever needed. With formalities at airports, with the check-in at hotels or cruise ships and all other practical things such as transport and hotel vouchers. Efficient travel services of the highest quality, from offer to operation and down to all details, are standard with us. Djed’s team is small enough to give you personal attention, but big enough to offer outstanding service. Thanks to our relationships with hotels and suppliers all across Egypt, we can ensure that our private Egypt tours represent excellent value for money for you. Our tour prices include private transportation and admission fees, so no hidden extras. Your trip can start on any day of the year with a minimum of only 2 people and will be on a private basis; you are not part of a group. You will see the sights in Egypt with a private experienced Egyptologist tour guide. He or she has not only great knowledge of all the ancient sites and modern Egypt, but also provides you with interesting background stories. Forget the stories of guides taking you to unwanted stops and shops. Our drivers care about safety. They are punctual, experienced in their field and speak English. All have completed the Driver Improvement Programmes offered by the Egyptian authorities. The vehicles they use comply with local safety standards and are fully insured. Egypt is our homeland. Responsible travel is important to us. Our golden rule is to make a positive difference in the areas we visit by supporting local communities through social and educational projects. Djed Egypt Travel is a fully bonded and licensed General Tour Operator and complies with all legal, financial and insurance requirements under Egyptian law. 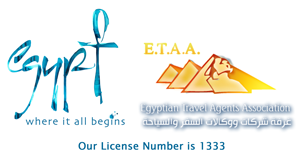 Djed Egypt Travel is a member of The Egyptian Travel Agents Association (ETAA) with Membership number 1333, issued by the Egyptian Ministry of Tourism, and of The Egyptian Tourism Federation (ETF). We are also an Accredited IATA Travel Agent. Our IATA License Number is 90223055.